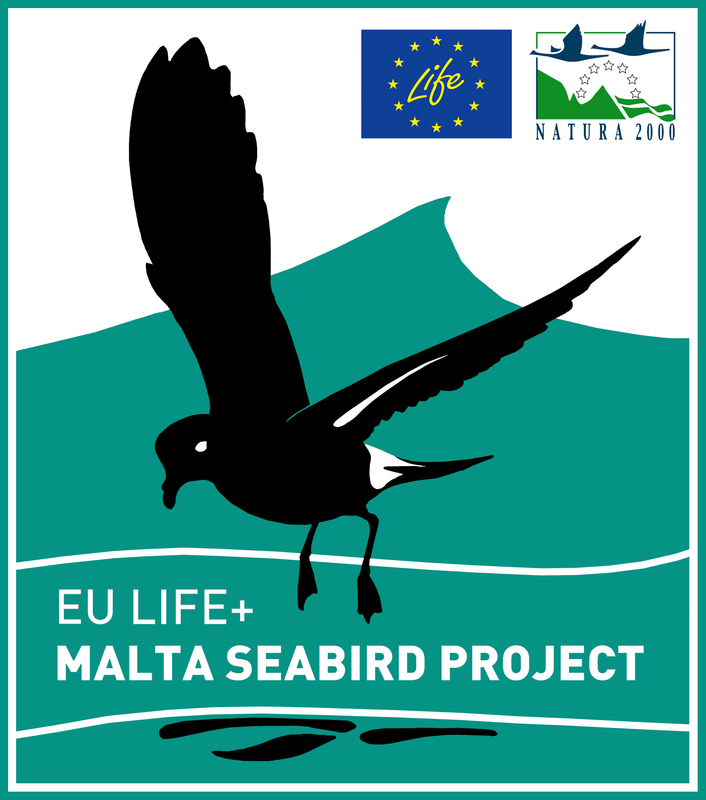 The EU LIFE+ Malta Seabird Project aims to create an inventory of marine Important Bird Areas (IBAs) for three seabird species; Yelkouan Shearwater (Puffinus yelkouan), Cory’s Shearwater (Calonectris diomedea) European Storm Petrel (Hydrobates pelagicus). It is the largest research project focussing on the populations of these seabirds breeding in the Maltese Islands. The project will build on the knowledge obtained by the previous LIFE Yelkouan Shearwater Project completed in 2010 and through state of the art technologies will identify areas at sea that will be designated for protection by the Malta government. The LIFE+ Malta Seabird Project will be led by BirdLife Malta in collaboration with the Ministry for Tourism, Culture and the Environment, the RSPB (BirdLife in the UK) and SPEA (BirdLife in Portugal). The Project has started in September 2011 and will run till June 2016. It is 50% co-funded by the EU’s LIFE programme, with additional financial contribution from the partner organisations. The total cost of implementing this Project is estimated to be €873,964, with an EU contribution of €436,982.